WPL1000: Square wall plate elbow with INTEGRAL shower mount. Ideally suited for use with our MIX4000 and MIX4500 mixer valves to connect the warm mixed water to the Bidet shower hose. 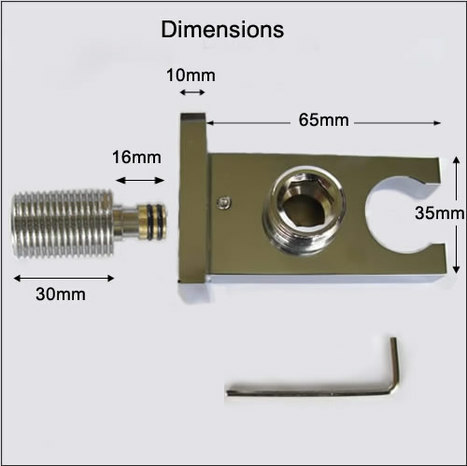 Premium quality solid brass wall plate elbow with integral shower holder, compatible with all our range of bidet showers. 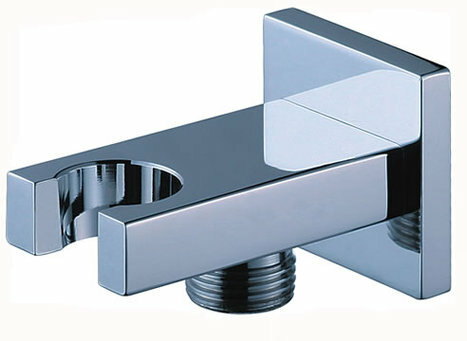 Finished in mirror chrome, ideally suited for use with our MIX4000 and MIX4500 mixer valves . Dual purpose shower holder and a medium for connecting the warm water pipe from the mixer valve to the Bidet shower hose. Wall plate 45mm x 45mm, chrome on brass. To view additional information click on additional images tab above to view components. 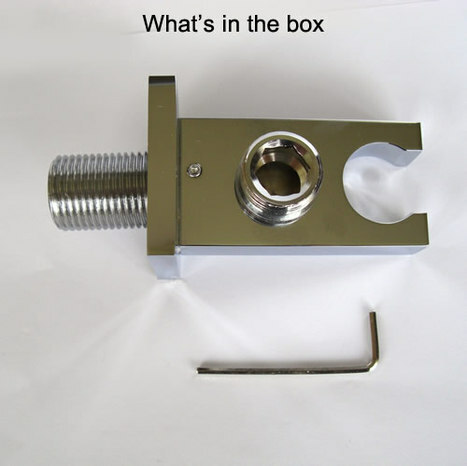 Care Point: The inlet spigot is removable for ease of installation by undoing the small alen screw (with the supplied allen key). For sealing there are two small o rings, these should be slightly lubricated with a small amount of washing up liquid soap to prvent friction damage when re-inserting. Warning: If you damage these o rings the bracket will seap water, if this happpens undo the inlet spigot and put a good few rounds of PTFE tape around the o rings, lighly lubricate with liquid soap, fully re-insert bracket over spigot and tighten securely with the allen screw.